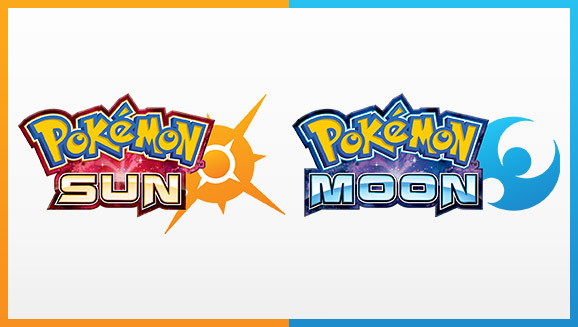 March 22, 2019 Update: This article has been updated to include a Single Type Run for Ultra Sun and Ultra Moon. Since the games are very similar I didn’t think it was worth it to make an entirely new article altogether. When looking at the Type Teams look out for the USUM symbols for Ultra Sun and Ultra Moon. Enjoy! When Pokémon Sun and Moon was released I wanted to do another Single Type Run (or Monotype Run) analysis on these games similar to my earlier article on previous generations. The purpose of this project was to determine which types were the best for a Single Type Run in Pokémon Sun and Moon? With just two games to tackle, this question is easier to answer than before however, I had to change my setup as Trials and Kahunas were added and Gym Leaders were removed. I had to tackle this problem a little differently but I think I succeeded. If you want to find out what a team of Bug or Psychic Pokémon would be like in Pokémon Sun, Moon, or USUM just scroll down past these next few paragraphs and find that type. 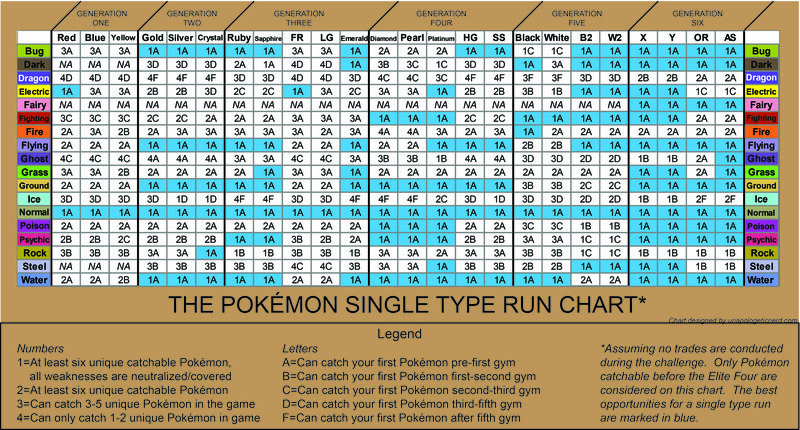 RULES: As in my last article, a Single Type Run assumes you don’t trade (so no Golem or Alakazam for instance) to yourself on Pokémon Bank or to other players. If you’re doing a run like Electric, you must capture the first available Electric Pokémon (Pichu) and box your starter. You may capture a Pokémon that will evolve into a certain type (like Pichu for a Psychic-type run) but you must evolve it asap. Only Pokémon that can be caught before the Elite Four are counted (so no Lucario). So overall, how did Sun and Moon do compared to earlier games? Unfortunately, although Sun/Moon provides players with a diverse set of Pokémon fairly early on, these games are worse at covering weaknesses than XY (but roughly the same as ORAS). XY scored 32 out of 36 (18 types times two games) for neutralizing cover as opposed to SM’s 25 out of 36. Mind you, this is still pretty good when compared to other generation-premiere games as the next best is Ruby/Sapphire with a score of 16 out of 34. Ultra Sun and Ultra Moon fared better with its increase of 101 Pokemon in the games. They score 31 out of 36 with Pokemon type coverage. Read a few paragraphs below for more information. What are great types for Pokemon Sun and Moon? Right off the bat, the two types that benefit the most are Fairy and Ghost. This is the first time we have starters that evolve into these types. This combined with their neutral coverage makes them great types for a Single Type Run. This is one of the few times a Ghost-type run has neutral coverage so I urge you to try it out here. Also, you can catch a plethora of Ghost Pokémon on the first island including Drifloon, Gastly, Misdreavus, and Sableye; great Pokémon that will go far with you. Fairy types received a nice, mix bag of Pokémon such as Klefki’s weakness neutralization and Primarina and Mimikyu serving as back up. You can also get a Gardevoir via Island Scan in USUM. I would argue that Sun and Moon are probably the best Pokémon games for an Ice-type run. You can get a Crabrawler somewhat early and from there you can get a Delibird and a Shellder and then an Eevee on Aklala Island. The biggest thing to consider is your Sandslash and Ninetales exclusives. Both of which neutralize certain weaknesses (Rock, Steel and Fighting respectively) but other Pokémon can cover them so it’s not a do-or-die situation. Also, this is one of the few games where you can do an Ice team with the Snow Warning ability. Catch and train a Vanillish and evolve it into a Vanilluxe for that sweet Hailstorm, your Froslass and other pokemon will benefit HUGELY from it. However, the biggest drawback of your Ice team is many of your powerhouses won’t be available until RIGHT before the Elite Four so that’s too bad. I need to mention Fire type as well but only for Sun and Ultra Sun. There’s been only one game in the history of Pokémon where Fire’s weaknesses are neutralized and that’s Pokémon Black. Sun and US offers a second chance at a fun Fire-type run thanks primarily to the Sun-exclusive Turtonator. If you’re up for it, catch a Torkoal as well because starting this generation it can learn the ability Drought! Which is fantastic when you want to stop those water types! It will still be a difficult run but fun nonetheless. Look out for Charizard, btw, for Island Scan in USUM. Electric, usually an okay type for a Single Type Run, is blessed with neutral coverage AND an early-available Pokémon via Pichu. Both of these things do not happen often for Electric, much less when they are together. 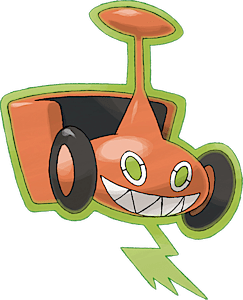 If you’ve been holding out for a good Electric-type game, now’s the chance to try it out with such picks as Magnezone, Vikavolt, and the Alolan variants of Graveler and Raichu. Finally, we have our usual types that do well for a Single Type Run such as Water, Normal, Steel and so forth. In particular, Water is probably the best type in Pokemon Sun and Moon for a Single Type Run. A huge diversity combined with a great starter makes Water Type stand above the rest. From Gyarados to Aquachnid, from Slowbro to Gastrodon, Sun and Moon gave us a type that can fill many rolls (special defense, physical attacker, status inflictor) and is there with us from the beginning. Pelipper also has the ability Drizzle in this generation which means you can run a Rain team which is quite rare! If you do that, keep an eye out with pokemon with abilities that use the rain. Oh, and pick up an Empoleon via Island Scan in USUM, lord knows how rare this penguin is so catch it if you’re doing a Water or Steel Type run! What are poor types in Sun and Moon? As expected, some types took a hit and aren’t as efficient in a Single Type Run as in previous games. For instance, it takes a looooong time before you get a Rock Pokémon so that’s a big disadvantage. Bug’s probably the biggest loser here though as it’s great recent record has finally been broken with glaring weaknesses to Rock attacks. This isn’t to say that a Bug-type run is bad as you still get a lot of new and interesting Pokémon to work with such as Golisopod or Vikavolt, but you’ll have to work hard to make sure you aren’t being torn apart by hikers. Fighting type also took a hit due to FINALLY losing a starter that gains it as a secondary type. It takes awhile before you catch your first Fighting Pokémon (Crabrawler) and your team will have to watch out for Flying Pokémon (usually, a Lucario would watch your back in previous games but not this time around, they’re available after the Elite Four). The increase in type variability lifts Bug type out of the slums and makes it a fantastic type again to train, so hooray! Heracross, Volcarona, and Forretress add some great resistances while providing some stellar support and attacking moves. With them plus Vikavolt, Golisopod and Armaldo (US only), this is probably the best Bug team out of all the games, enjoy it! Your other big winner is Psychic Type as it’s Dark weakness is neutralized. Gallade, Gardevoir, AND Malamar all came to the rescue to stop Dark moves! Cover weaknesses? No, Rock is not neutralized in Sun and Moon. In USUM, every type is taken care of. Cover weaknesses? Pokemon Sun and Ultra sun is weak to just Dragon moves. Pokemon Moon is weak to Dragon, Ice, and Fairy moves. Pokemon Ultra Moon is weak to Dragon and Ice moves. Cover weaknesses? Only in Sun and Ultra Sun thanks to Turtonator. In Moon and Ultra Moon, Water is not neutralized. However, you can cut back on Water’s strength if you train a Torkoal which now can learn the ability Drought. Cover weaknesses? In Sun, Moon, and Ultra Sun, Flying and Ice are not neutralized. In Ultra Moon, only Ice is not neutralized. Cover weaknesses? Surprisingly yes regardless of version differences. Cover weaknesses? Dark is not neutralized in Sun and Moon. It’s neutralized in USUM. Cover weaknesses? Yes. Also, heads up, Pelipper now knows the ability Drizzle. Take that into account if you want to make a rain team. This entry was posted in Pokemon, Pokemon Single Type Run and tagged Bug Type, Dark Type, Dragon Type, Electric Type, Fairy Type, Fighting Type, Fire Type, Flying Type, Gamefreak, Ghost Type, Grass Type, Ground Type, Ice Type, Monotype Run, Poison Type, Pokemon, pokemon moon, pokemon sun, Pokemon Ultra Moon, Pokemon Ultra Sun, Pokemon USUM, Psychic Type, Rock Type, Single Type Run, Steel Type, USUM, Water Type on December 27, 2016 by Andy.